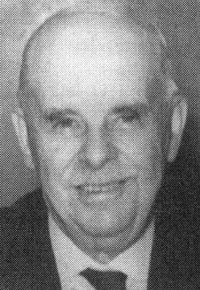 Farmer, merchant, and politician, Charles Woodward founded the largest department store chain in western Canada with eighteen stores in 1975. Active in promoting the interests of business in Vancouver and known as the workingmans friend, in 1924 he was elected as Liberal MLA for Vancouver, serving until the crashing defeat of John Olivers government in 1928. One of his sons, William Culham, who later served as provincial Lieutenant-Governor, was also a freemason. Charles Woodward established the first Woodward store at the corner of Main and Georgia Streets in 1892. 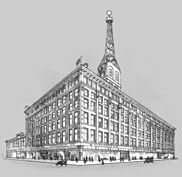 On September 12, 1902 Woodward Department Stores Ltd. was incorporated, and a new store was built at Hastings and Abbott. In 1926, a store was opened in Edmonton, and by the late 1940s, the company began to open numerous stores in B.C. and Alberta, including: Port Alberni (1948); West Vancouver (1950); New Westminster (1951); Oakridge Mall, Vancouver (1959); Calgary (1960); Mayfair, Victoria (1963); a second store in Edmonton (1965); Prince George (1966); and Surrey (1966). Charles Woodward is interred in the only mausoleum in the Masonic Cemetery in Burnaby, BC. Source: Grand Lodge of British Columbia and Yukon records. Photo c. 1925, Hudson Bay Company Corporate Collection, Illust. : lettterhead, 1939.